My first public walking tour for 2017 returns to the Victorian Quarter – Sunday 9 April 2017, Historical Walking Tour of the Victorian Quarter, From Fever Hospital to Street Grandeur, meet at the green (Bell’s Field) at the top of St Patrick’s Hill, 2.30pm, free, 2 hours. The tour is part of the Lifelong Learning Festival. In a world where globalisation reigns, more than ever place matters. The Victorian Quarter is a new branding by traders within MacCurtain Street environs and Cork City Council to describe a historic corner of Cork, which was built up during the time of Queen Victoria and espouses the good, the bad and the ugly of Cork History. One is dealing with immense scenic perspectives – book ended by the epic St Patrick’s Hill view to the west, Kent Station to the east and river and port frontage to the south. There is something to be said about how the street and buildings are carefully balanced and placed on a steep carved out sandstone ridge to the north – an important story of strategic engineering, which appears in earnest behind the waterfall feature behind Greene’s Restaurant. The area comprises gorgeous, original and well invested architecture with rich stories. Its historical DNA is rooted in old Cork but this was the Cork that emerged in the late eighteenth and early nineteenth centuries where the city was branding itself as one of the Venices of the North and the Athens of Ireland in terms of cultural output. When the Corporation of the time invested in planning St Patrick’s Bridge in 1787, it opened up this quarter for development – this was also the decade that brought us the first south docklands plan and the chain the Lord Mayor wears. The 1790s coincided the creation of St Patrick’s Hill – a hill-up avenue from Bridge Street, which aligned with an old windmill now incorporated into Audley House. 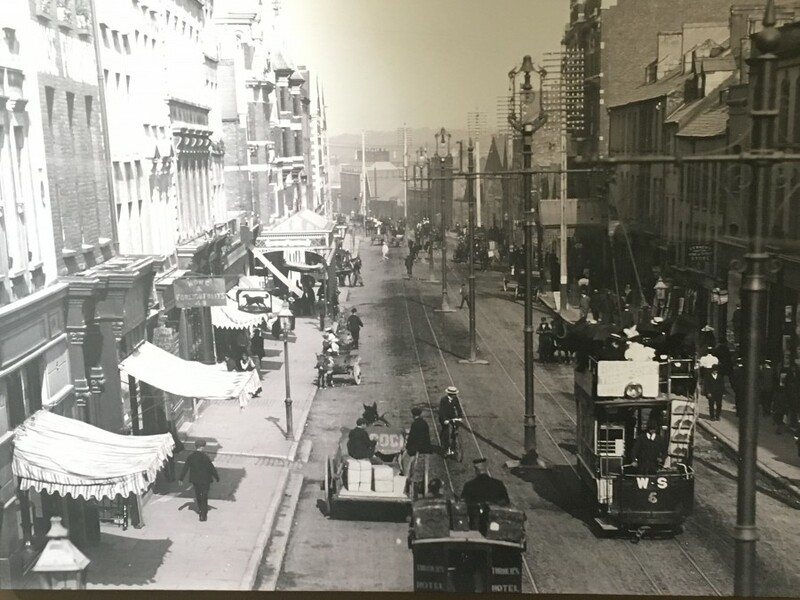 The decade also coincided with an early MacCurtain Street– back then known as Strand Street and later King Street. One by one, some of Cork’s greatest stories and architectural structures were added. The tragic Fever Hospital was constructed in 1802 with all that is left today being the Fever Hospital steps. Built between 1801 and 1806 and designed initially by John Gibson, Collins Barracks was once called Royal or Cork Barracks with the largest parade ground in western Europe. 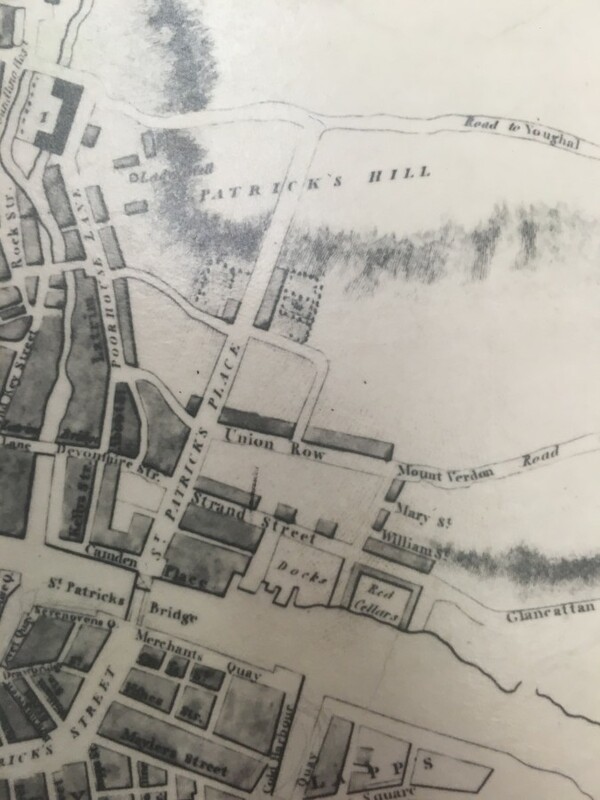 Summerhill Road was laid out between 1801 and 1832 as well as a myriad of new residences; these provided the catalyst for the creation of St Patrick’s Church and the first of three St Luke’s Church – St Patrick’s and St Luke’s witnessed their foundation stone laid in the 1830s. St Luke’s Church’s was consecrated in 1837 whilst St Patrick’s Church opened in 1848 – the portico of St Patrick’s echoing the Greek and Roman temples of Central European urban civilization. The Cork Dublin Terminus & tunnel opened in 1856 – the tunnel was part of an elaborate railway system from Dublin to Cork – in its day one of the major features of engineering in western Europe. Trinity Presbyterian Church was opened at the foot of Summerhill in 1861 – but Cork’s Presbyterian cultural heritage is 300 years old this year. The building that Cork’s 96FM occupies first opened its doors in 1888. In the mid nineteenth century, the Vincentian Fathers maintained a seminary at Saint Patrick’s Place in Cork, known as the Cork Diocesan Seminary. In 1888 a new seminary with residential accommodation was completed at Farranferris, and the Vincentian ecclesiastical students transferred there. The then Bishop of Cork, Dr O’Callaghan, invited the Christian Brothers to take charge of the St. Patrick’s Place establishment. The Christian Brothers and Scoil Mhuire or St Angela’s are all part of the educational heritage of the quarter. The elaborate twelve-bay five-storey structure building, which hosted Thompson’s Bakery was erected about 1890 as well as the seven bay three storey Victoria Buildings. In the 1970s Thompsons output tops 20,000,000 products per annum. The company employed 250 men and women. It distributed Thompsons famous bread throughout Munster and the confectionery was sold throughout Ireland, with depots in Waterford, Dublin, Athlone, Galway, Westport and Limerick. Thompsons vans were a very familiar sight throughout 40 routes Munster and 10 national routes, and numbered in the region of 60. Thompson’s was soon followed by the Baptist Church building in 1892, the Great Southern and Western Railway Cork Terminus in 1892 and the Metropole Hotel in 1897 financed by the Musgrave Brothers. In 1897 Dan Lowry opened the building as a luxurious new theatre called The Cork Palace of Varieties, the 120th anniversary of which the Everyman will celebrate this year in their annual programming. Then there is the story of famous Hadji Bey sweet shop post the Cork International Exhibition 1903. The Colliseum cinema, which opened in September 1913 began a social revolution – and the eventual construction of a necklace of cinemas, which were to blossom over the ensuing twenty years. And the list goes on and on; and as I’m saying these there are possible readers screaming– what about that topic, what about this one; but that is what the public walking tours are trying to bring to the surface – lost stories within familiar places, we all call home.